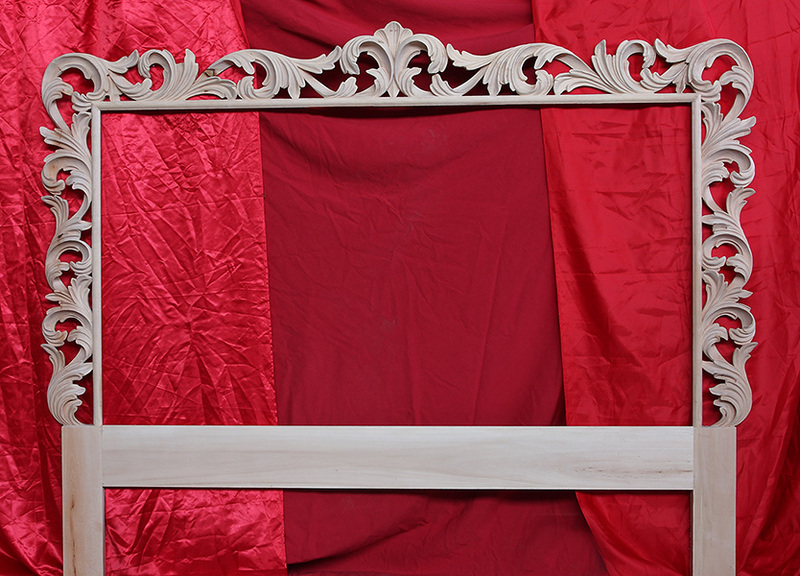 Concerning headboards, we have decided to propose structures still raw, so that we can achieve together, depending on your needs. 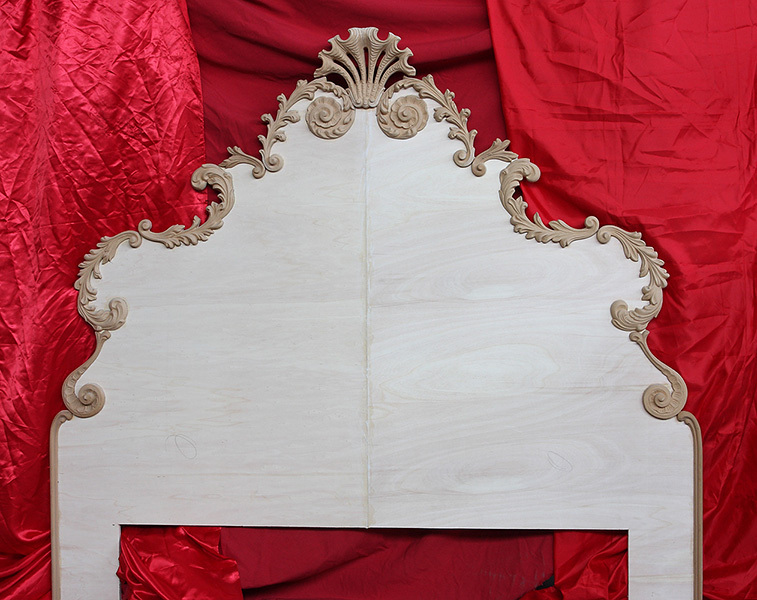 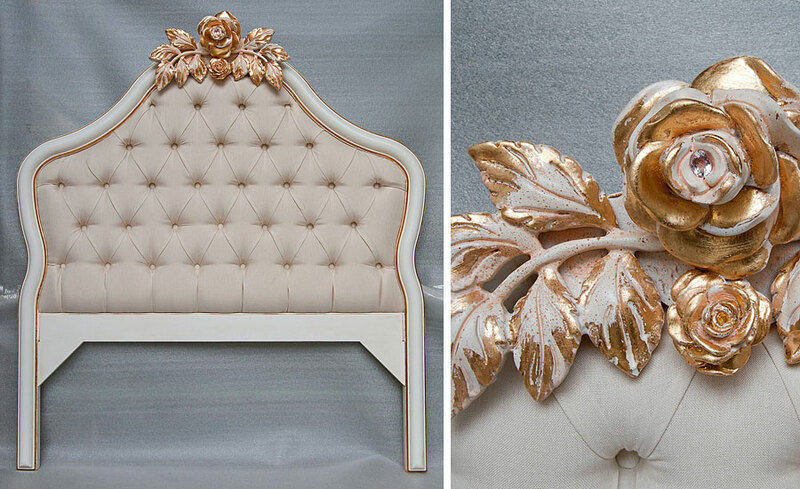 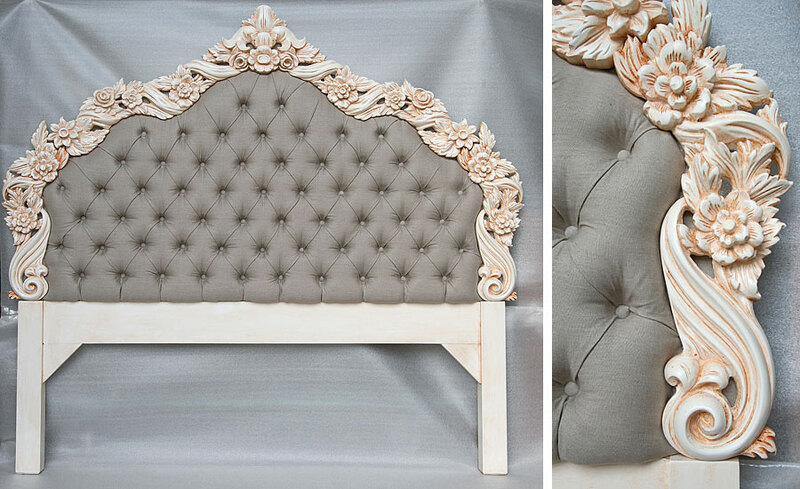 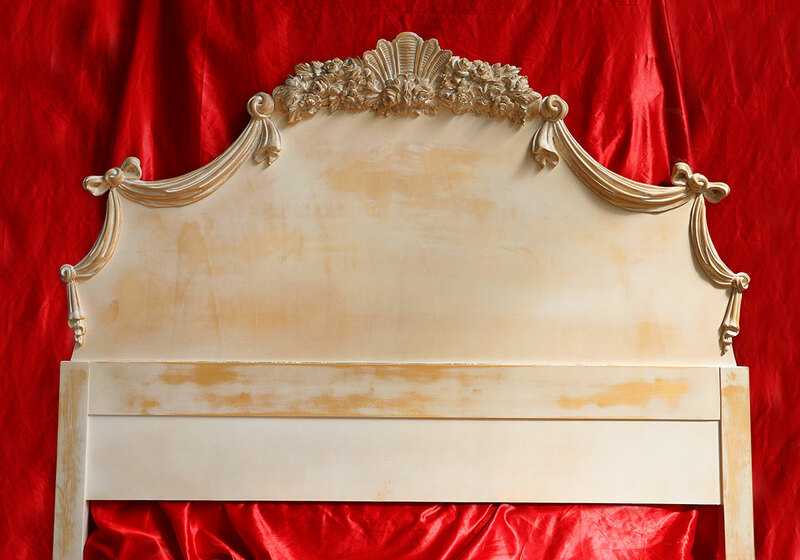 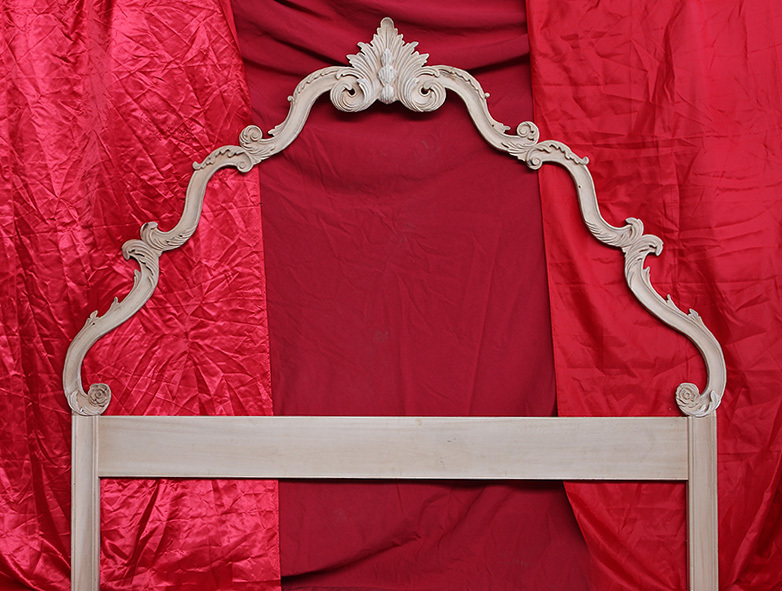 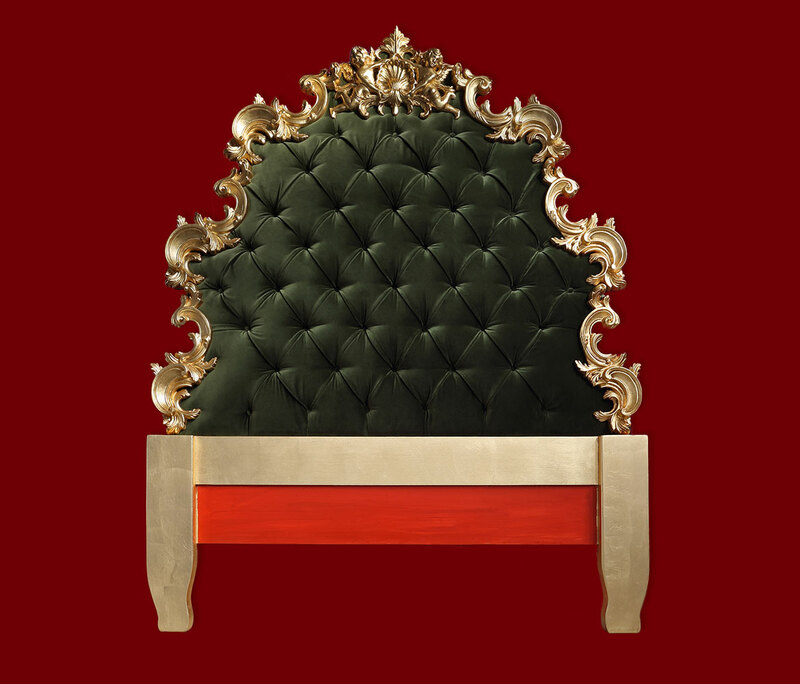 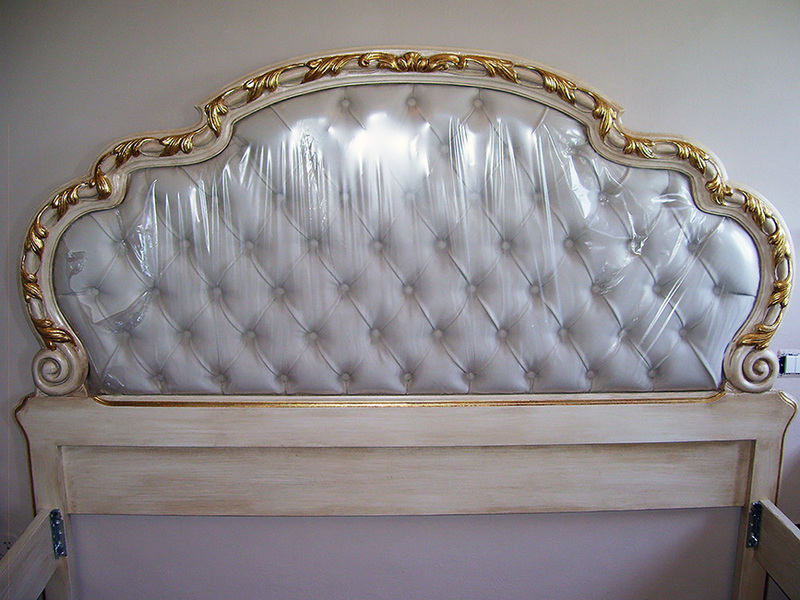 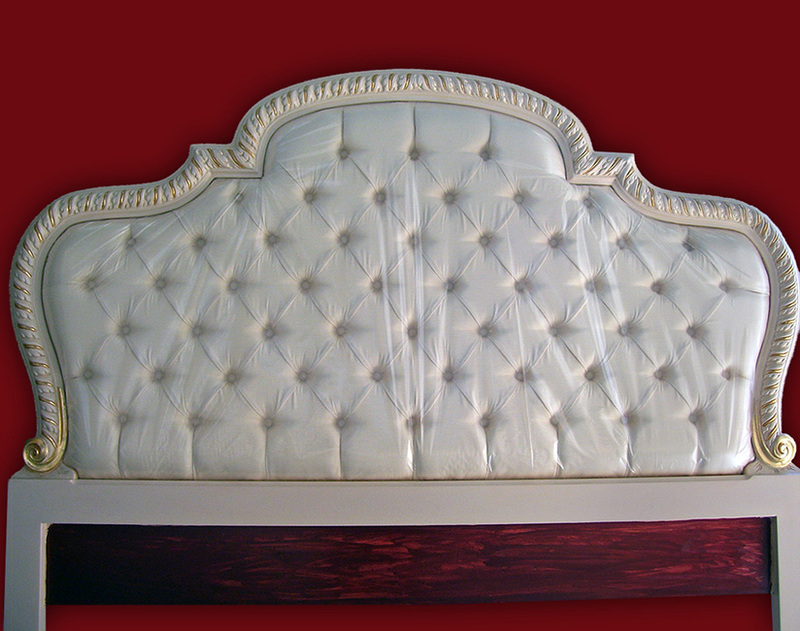 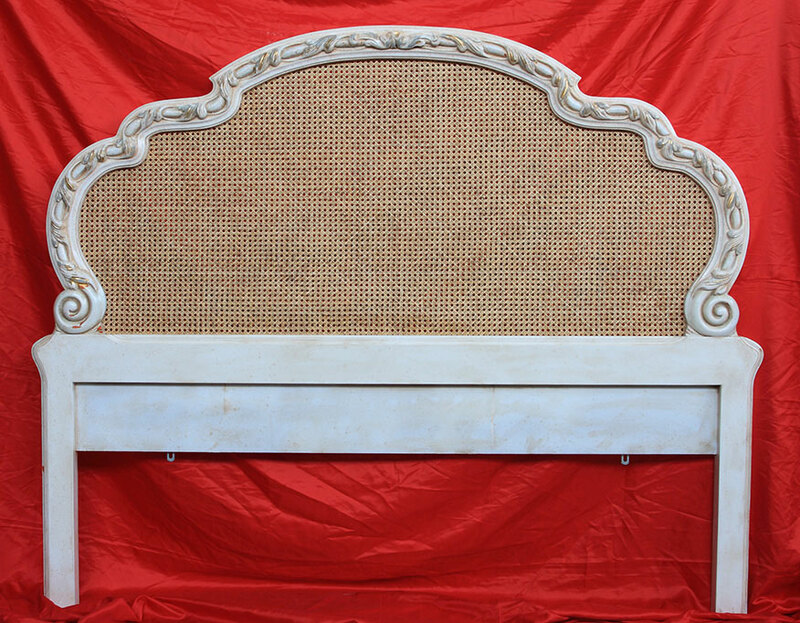 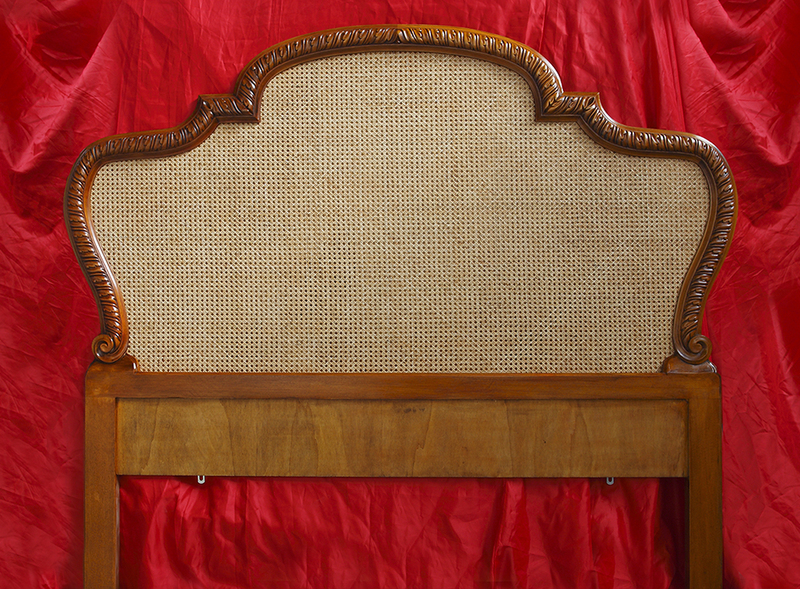 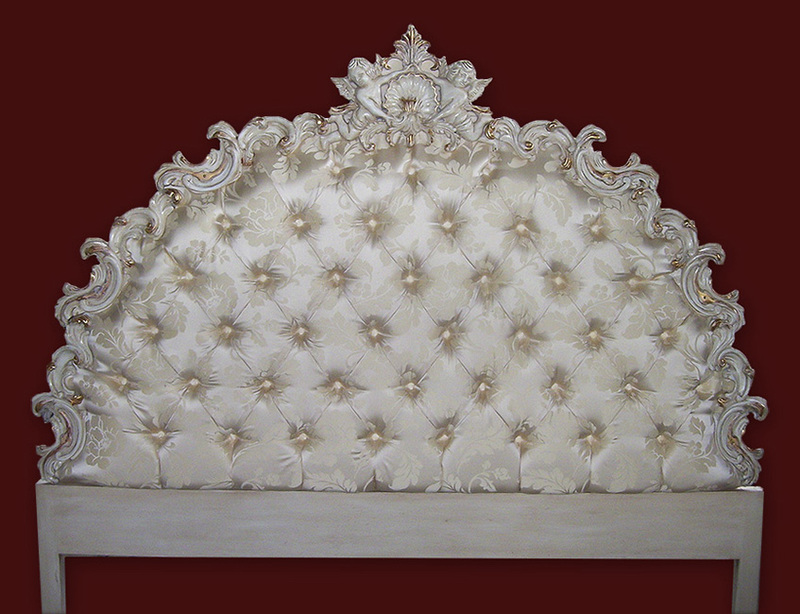 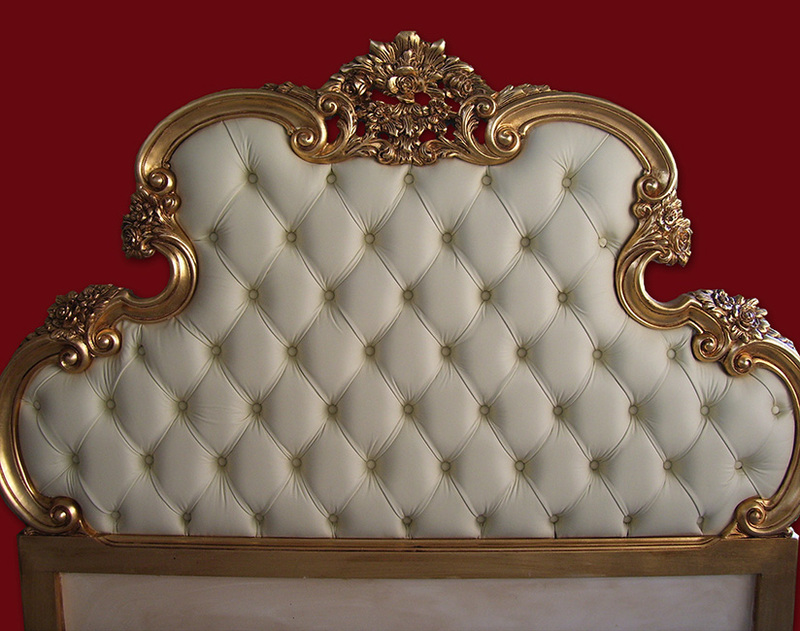 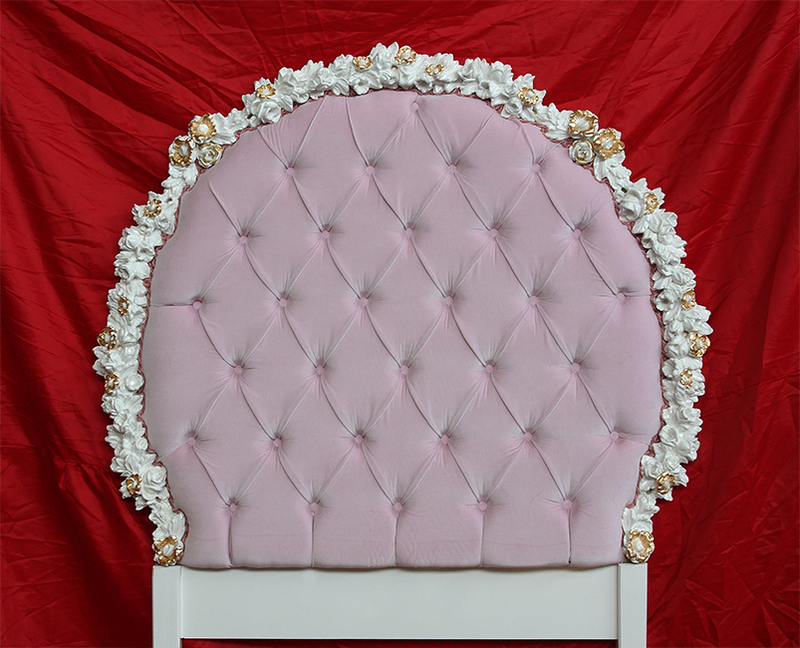 We can personalize the colour of the frame work, the type of paint, choose the fabrics and the type of padding for the headboard of the bed (quilted, quilt, etc..), So as to coordinate with other pieces of furniture or just to give it a unique look . 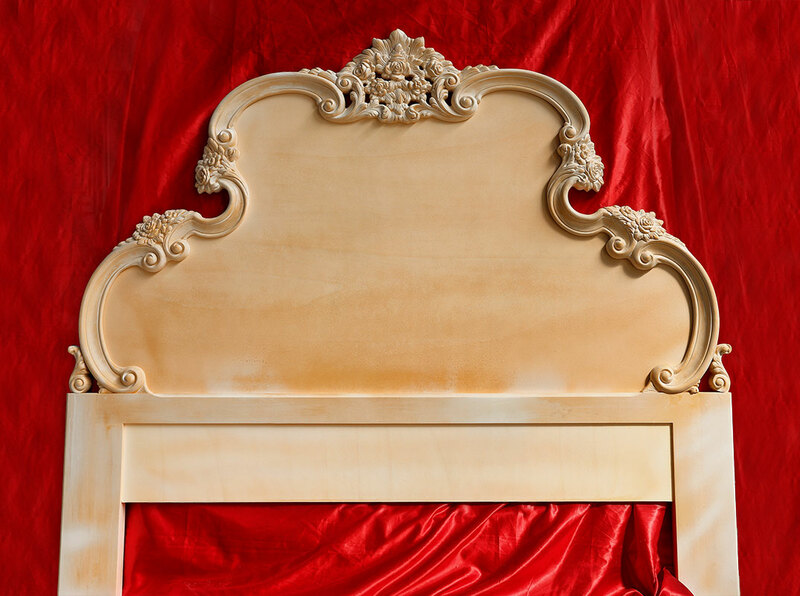 Create your own style, with Toscana Forever it is possible, our workshop will give shape to your ideas, your wishes, your need to exclusively furnish your bedroom. 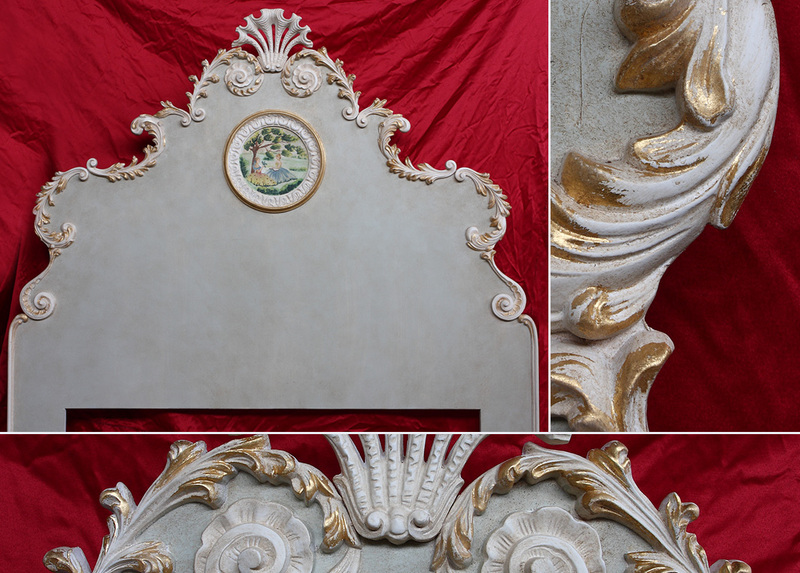 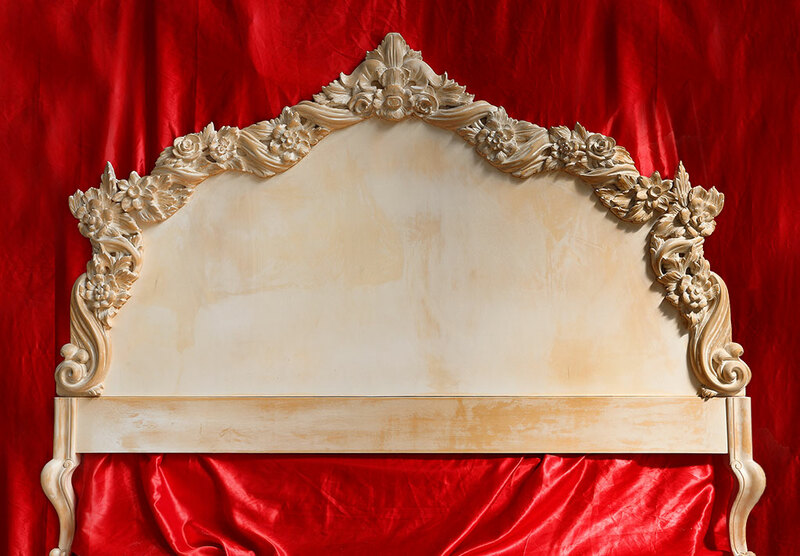 All our products for the artistic decorations are made with the following materials: rabbit glue, plaster of Bologna, Siena, beeswax, shellac, gold panel and gold pure on demand. 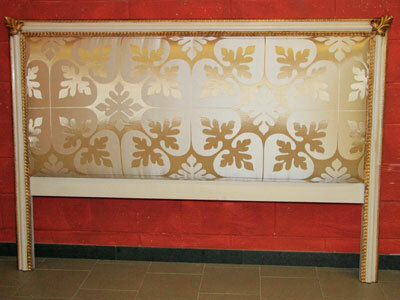 The polychrome colors have been made in our laboratories. 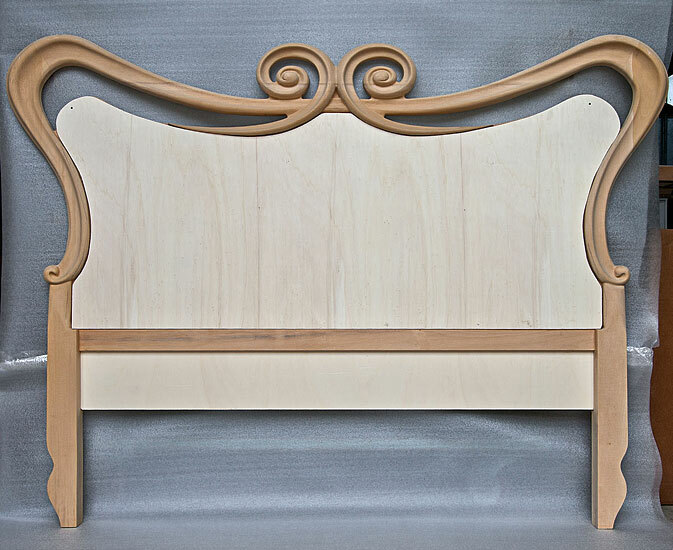 To place orders: Click here to download the catalog of items available (in pdf, printable), including technical data, measurements and item code.